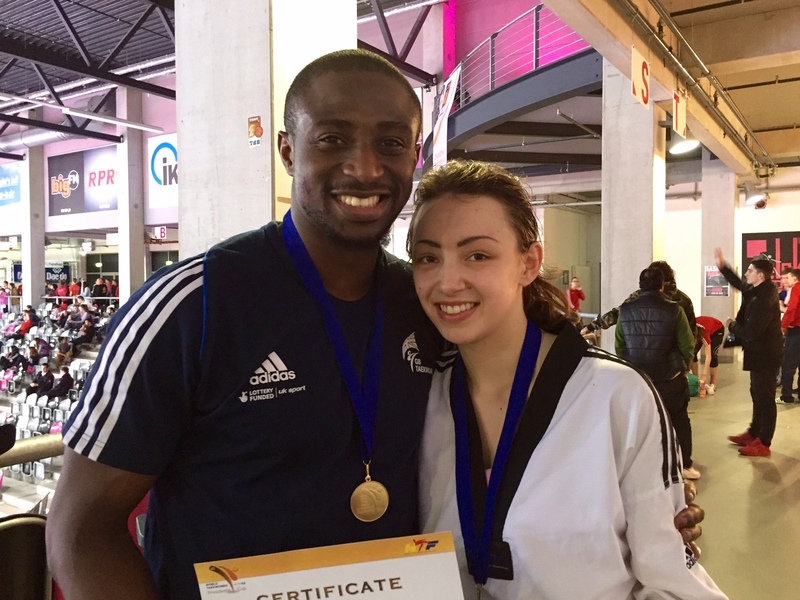 Britain’s Mahama Cho claimed the gold medal in the men’s heavyweight on the final day of the World Taekwondo President’s Cup at the Telekom Dome in Bonn. The British team were looking to claim their second gold medal of the weekend, following Bianca Walkden’s success in the women’s 73 kilogram event on Friday (April 8). Cho closed on claiming the title in the men’s over 87kg event, after coming through a closely fought second round contest against Slovenia’s Ivan Trajkovic, via a golden point decision, on route to the final. The 26-year-old, who was born in the Ivory Coast and who has represented both Britain and France, trailed in the early stages of his gold medal clash with Armenia’s Arman-Marshall Silla, but hit back to claim a 5-2 victory. “I am always calm in those tough situations,” Cho, hoping to represent Britain in the heavyweight competition at Rio 2016, said.